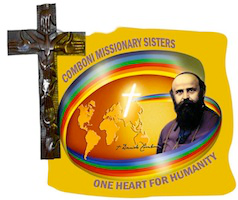 What is the Comboni Centre for Spirituality & Mission? A sacred quiet space in the centre of West London open to all: available for use by individuals, groups and schools to experience prayer and to put love into action by reaching out to the poor and needy, following the spirituality of St. Daniel Comboni. I must acknowledge the world around me, and I must accept and affirm that it is larger than my personal world. I need to become an adventurer and an explorer in this culture, receptive to new discoveries: new ways of expressing myself, doing what needs to be done, seeing and interpreting the reality around me, determining and deciding what is valuable and what is not.